Our inventory is updated regularly as we are constantly buying new lots of pristine used furniture. We only pursue the best deals as this ensures we can pass those savings on to our Irvine, CA customers. Check our website regularly for new items added and our great used furniture deals on the Deals Page. We’ll buy your lightly/gently used office furniture from you in Irvine, CA if you are up-sizing, downsizing, remodeling, liquidating, or just need some extra cash. Our team of dismantling experts will clear out the used office furniture from whatever area you need and even pull the carpet tiles if that’s what you want. 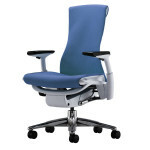 Call us today for an estimate on your available Irvine, CA used office furniture inventory. 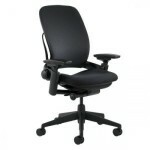 We move, deliver, and install office furniture at any location in Orange County at the most reasonable rates. Our installers have been meticulously trained and are experienced in seamlessly assembling cubicles and all types of used office furniture. If you are selling furniture, we offer prompt dis-assembly and removal services. CubeKing has in-house space planning experts who will help you maximize the usage of your Irvine, CA office space. Call us today at 1-866-282-3748! Our customers save as much as 40-80% off retail when they buy their used cubicles from CubeKing. We have a large inventory of new and used cubicles that have overhead shelves, pedestals, receptacles and other features that help employees organize their work spaces. Visit our showroom or call us today. We have have a large assortment of cubicles manufactured by leading manufacturers such as Herman Miller, Steelcase, Haworth, Teknion, and Knoll. 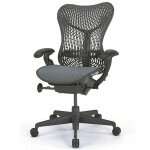 We also offer a great selection of new desks by manufactures like Cherryman, Herman Miller, Mayline, Brighton, and Knoll. Office chairs have always been a specialty at CubeKing. 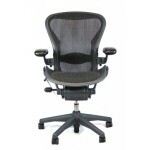 We specialize in everything from the industry leading Herman Miller Aeron chairs to unique and hard-to-find chairs.We will buy your lightly/gently used office chairs as well. Call us today for a quote. CubeKing sells used circular, rectangular, curved, bowed, boat-shaped, and racetrack tables for training rooms, boardrooms, meeting rooms and conference rooms throughout Irvine, CA. Whether you prefer to buy new or previously owned, you’ll find a well-built, quality table that fits your office’s decor, needs, and budget at American Office Furniture. We offer Irvine businesses the guaranteed lowest prices for storage and filing cabinets. We specialize in selling low-priced, new and previously owned filing and storage cabinets. Choose from vertical, lateral or modular models; 2, 3, 4 or, 5-drawers; and premier brands such as Kimball, Pleion and Hon. Call us today for great prices on everything you need to furnish your waiting room or lobby in Irvine, CA. Call CubeKing at 1-866-cubes4u (866) 282-3748 or visit our showroom warehouse for exceptional value in office furniture. Everything we sell is in great condition and available for the lowest prices in Orange County…. GUARANTEED!